Ordering from a traditional Italian restaurant can be somewhat intimidating. How many times have you looked at an Italian menu and thought to yourself, “Where do I even begin? How much should I order? And when can I get dessert?” What appears to be a ton of different courses is actually a pretty structured menu. Today we’re breaking down the various elements of a traditional Italian menu and how to order so that you’ll get exactly the meal you’re hungry for. Antipasto is typically the first category you’ll find on a menu and is simply an appetizer. Think of this as a smaller introduction to the rest of the meal. The list of antipasti is usually short, but will almost always include a charcuterie platter, cheese plate, or a combination of both meat and cheese. Other options may be marinated olives or even fruit, such as melon and figs. The antipasto, meaning “before the meal” is meant to stimulate your appetite for the following courses. A primo is the first course and often heavier than antipasto. Primi can include pastas of all shapes and sizes, as well as polenta, gnocchi, rice, and risotto. This part of the menu is usually the most extensive and dishes may or may not include meat or seafood. The names usually indicate traditional sauces, like ragù, bolognese, and carbonara, and are often accompanied with pasta. This course is meant to satisfy your hunger and prepare you for the main course. A secondo is a second course that usually consists of solely a protein: seafood, meat, or even cheese. If your server brings over just a plate of chicken, don’t be shocked. The chef didn’t forget it and the restaurant isn’t trying to gip you. These could be equated to a main course, but without a side or vegetable, they’re probably not substantial as a meal on their own. Dishes under this category are named with just the word for the animal and the method of cooking. Sometimes it is named by the cut of meat. Contorni are the side dishes. Think vegetables that are grilled, roasted, or boiled. You won’t find pasta on a list of contorni. Instead, look for it under Primo. They are fairly simple dishes; don’t be surprised if your insalata di pomodori (tomato salad) comes out as a dish of sliced tomatoes with a drizzle of olive oil and not a colorful salad of tomato with greens. Dolci is the sweetest part of the menu: dessert. Typical Italian desserts include tiramisù, panna cotta, cannoli, Italian gelato and sorbet. Italians typically reserve this these type of desserts for special occasions; on most days, the dolce is a bowl of fruit. Want to try a little bit of everything without going overboard? Go ahead and order one item from each course and split it with a friend. Another option for trying an assortment of things is to order your own first and second course, but share antipasto and dessert. There are no rules; order what you’re in the mood for! Regardless of how much you order, do know that you will get your food in the order the categories are presented on the menu. 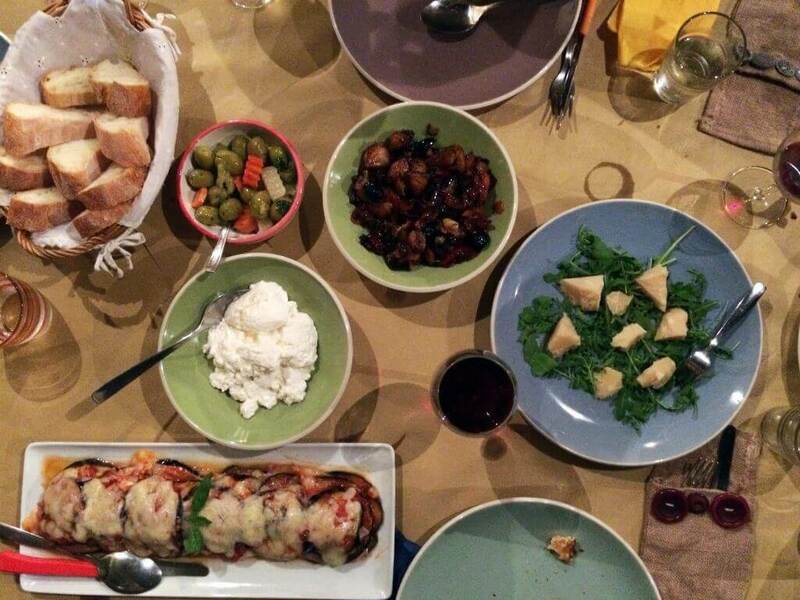 As in, antipasti will come first, then first, second, side dishes and finally, dessert. Hopefully we’ve helped you understand some of the intricacies of an Italian menu. Stay tuned for more from this series where we’ll cover authentic dishes from each menu category. Buon Appetito! What Cheese Do You Want on Your Pizza? « What Cheese Do You Want on Your Pizza?